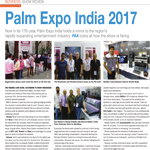 August 1, 2018 MUMBAI: The PALM Expo launches AV Integrated Systems Expo in 2019. AV Integrated Systems Exhibition will run concurrent with PALM in a connected independent hall. This dedicated AV hall brings all AV technology and solutions together in a focused area. Established in 2008 as a wholly-owned subsidiary of Yamaha Corporation, Yamaha Music India, Professional Audio department provides the Indian market with the full line of Yamaha integrated professional audio products offering complete systems solutions for the broadcast, sound reinforcement/installed sound, touring, commercial recording and post production. By adding the NEXO line of high-end loudspeakers and amplifiers to its portfolio, Yamaha Music India aims to offer a superior solution-based approach to sound reinforcement, supplemented by a high degree of support, education and training to professional audio market of India. 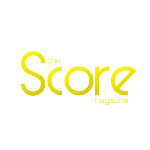 According to Harisha, GN Business Head of PA Department, Yamaha Music India, "Because they have been present in India for so many years, the synergy effect of two brands will enjoy a very high reputation. Yamaha keeps on investing heavily in India. 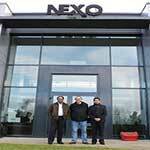 Our priority with NEXO is to leverage the possibilities between the product ranges of NEXO and Yamaha. Focusing to provide the best possible Professional Audio solutions under one roof targeting the Mid and High end segments which can make life much easier for the customer." 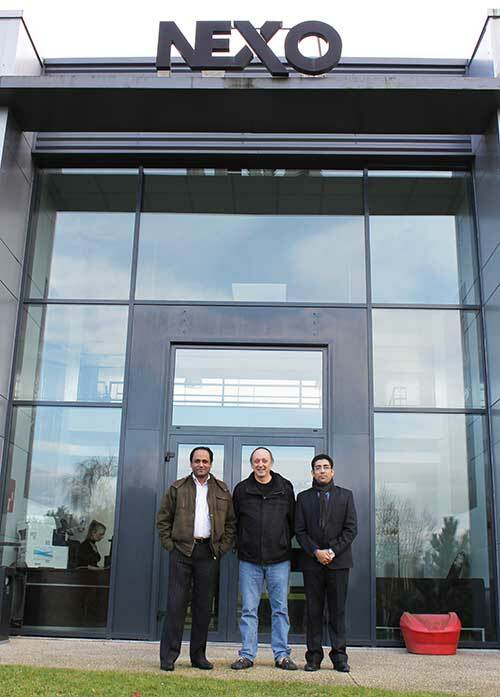 "Yamaha Music India has a wide-ranging distribution infrastructure, a network of consultants and an extensive customer base; these will now have access to NEXO systems, matched by comprehensive in-house and field product training," said Denis Baudier International Sales Director,NEXO. "With this great partnership, Yamaha will help us effectively meet the growing demand for high-quality sound reinforcement solutions in India. 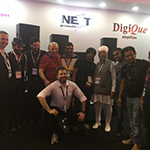 Our two companies share the same philosophy and we aim to offer the Indian professional audio market something over and above ‘black boxes’, complementing technical solutions with a high degree of support, education and training," added Denis Baudier. 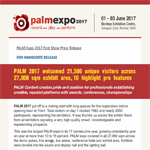 PALM Expo 2017 creates pride and position for professionals establishing credible, reputed platforms with awards, conferences & championships. In its 11th consecutive year, the Indian Recording Arts Academy Awards (IRAA) 2017 will be held at Bombay Exhibition Centre on 3 June and will be hosted alongside PALM Expo 2017. It takes the opportunity to recognize exceptional skills in music, soundtrack recording and mixing in Indian music for albums and movies. Audio files accompanying the entries can be submitted to a dropbox link provided on the website. The entry deadline is 30 April, 2017. Appreciating innovation in music composition and tracks that define independent and popular music culture, the awards take cognisance of the talent and worth of studios and engineers. It also keeps an eye on the skill in adopting new technology, trends and proving expertise in the use of new methods. 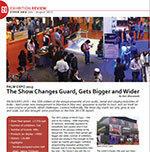 Gaining aspirational value through the years, the awards reflect industry’s credibility. Here’s a good chance! Log in to iraa.in/register and send in your nominations now. Since 2006, the annual IRAA awards, honours and recognises exceptional talent in music, soundtrack recording and mixing in Indian music for albums and movies. The aim of the award is to recognise innovation in music composition and tracks that define independent and popular music culture. The awards honour talent of studios and engineers, while keeping an eye on the skill in adopting new technology, trends and proving expertise in the use of new methods. 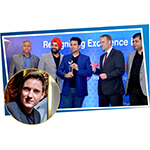 Gaining aspirational value through the years, the IRAA awards reflects industry’s credibility and has become an eagerly looked forward annual event. There are very few award ceremonies that honour the technical expertise behind song and music production with most others restricting themselves to popular categories. The IRAA Awards are the first ever music awards in India that recognizes the regularly forgotten technical fields of music recording and engineering talent in India; it recognizes those who exhibit the courage and creativity to bring about a transformation in the world of music. In its previous editions, the Awards have been conferred upon reputed names of the music and recording industry like A. R. Rahman, K J Singh, Aditya Modi, Daman Sood, Avinash Oak, Ram Sampath, Mohit Chauhan, Eric Pillai, Sonu Nigam, Shantanu Hudlikar, Vijay Benegal, Pramod Chandorkar, Baylon Fonseca, Julian Mascarenhas and Shreya Ghoshal among others. Log in to iraa.in/register and send in your nominations now. The Indian Recording Arts Academy proudly has announced Pramod Chandorkar as the Awards Director. Pramod has been working as a Sound Engineer since 1995. 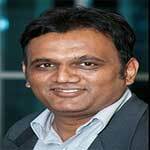 He has worked on numerous mega hit albums and films as Chief Sound Engineer. He is one of the few audio engineers who have excelled in all branches of audio ranging from Music Recording, Live Sound, Film Sound Design, Studio Design and Audio Education. Starting out as a musician, Pramod’s journey is marked with an association with many leading sound recording studios. 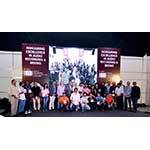 Pramod has also been responsible for designing and deploying more than 30 fully operational sound recording facilities. Currently other than being the founder & director of Soundideaz Academy Pvt. Ltd. a premier institute conducting courses on Sound engineering, he also heads an impressive Audio post-production facility. He is also a FOH Mix engineer and the Head Technical Engineer for Sonu Nigam Live in concert and has been traveling the world for his tour for last 13 years .He has mixed live for artists like Lata Mangeshkar and Asha Bhonsle. In the world of Film Sound design he has been active for last four years and in a short span has received four prestigious nominations for Sound Design for Films. He has received the Zee Cine Award for Best Song Recording in 2005 and also three IRRA and one Palm Live Sound Awards too. "I feel honoured to be appointed as the Awards Director for the prestigious IRAA. 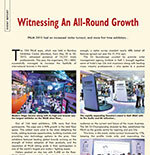 In the last 10 years IRAA has become the most prestigious award for the Audio industry," says Chandorkar. “In a world where a technician’s contribution in recording of music and film sound has only increased multifold, IRAA has done the job of acknowledging their contribution and motivating the new generation of Audio artists. In the coming editions we will be looking forward to take these awards and recognition to the next well,” he adds. 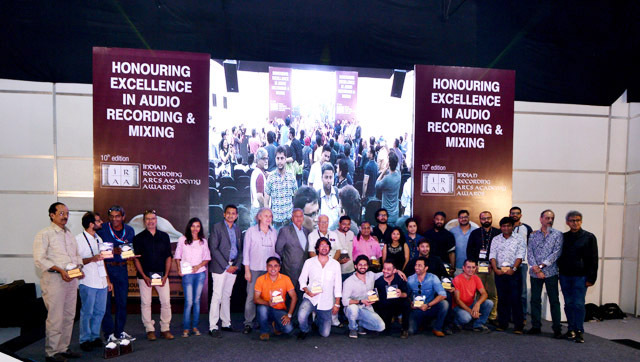 "IRAA in its 11th consecutive edition is achieving critical attention from Indian recording engineers aspiring for recognition in their technical art in the audio studio. Pramod Chandorkar eminent sound engineer of global fame is the 2017 Award Director. In Pramod we have a very dedicated and serious savant of the recording arts having contributed immensely to the profession. IRAA is going to benefit greatly in his guidance and leadership. I believe more so nice fraternity of recording engineers will benefit in the IRAA Awards being led by Pramod," states Anil Chopra, founder of IRAA Awards. "I have known Pramod since 25 years and persistence for achieving excellence is remarkable, the awards too recognize excellence in the recording arts," he adds. Now in its 11th edition, IRAA Awards will continue to applaud the best in Indian music; those who exhibit the courage, and creativity to bring about a transformation in the world of music. Indian Recording Arts Awards (IRAA) every year honour and recognise exceptional talent in music, soundtrack recording and mixing in Indian music for albums and movies. The music awards similarly recognise innovation in music composition and tracks that define independent popular music culture. IRAA 2017 will be held at Bombay Exhibition Centre on 3 June and will be hosted alongside PALM Expo 2017. 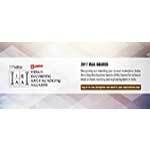 IRAA Awards are now accepting nominations. fference there was at the show. 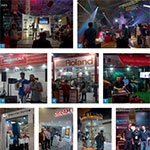 PALM EXPO 2016 – the 16th edition of India’s premiere tradeshow on Pro Audio, Live and Install Sound, and Light – sought to scale up by further remodelling from its previous editions, through some very specific initiatives on both quality and quantity..
INDIA: Having taken on the exclusive Indian distribution of Portuguese loudspeaker manufacturer Next-proaudio little more than a year ago and Powersoft at the end of 2015, Namdhari Impex has ended a successful 12 months.. 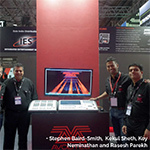 The 15th edition of the PALM (Pro Audio Live Music) Expo took place from May 28 to 30 at the Bombay exhibition Center. 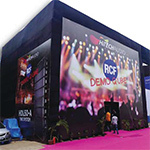 PALM EXPO 2015 – the 15th edition of the annual ensemble of pro audio, rental and staging industries of India – held under new management in Mumbai in May end, appeared to better its best.. The aging infrastructure of the Bombay Exhibition Centre once again played host to PALM India, but would the show perform better than the venue’s A/C?.. 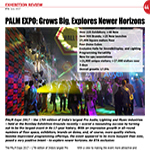 PALM™ Mumbai 2015 builds Pro AV segment and high-end DJ market. 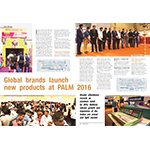 The 15th successive PALM™ expo organised by ITE / ABEC fulfilled the expectations of the industry in putting up the largest ever show attracting 24,531 trade professionals.. 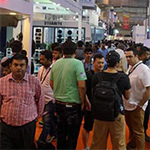 The 15th PALM expo, which was held in Bombay Exhibition Centre (Mumbai), from May 28 to 30, 2015, witnessed presence of 24,531 trade professionals. 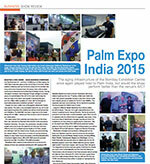 This year, the organisers, ITE / ABEC successfully managed to increase the footfalls..